L.a Noire is an action-adventure game which is decidedly very Noire and its setting and characters and general feel. We know that the game is out for the Nintendo Switch but given the fact that Nintendo Switch has delved into VR territory, what could this mean for L.a Noire? 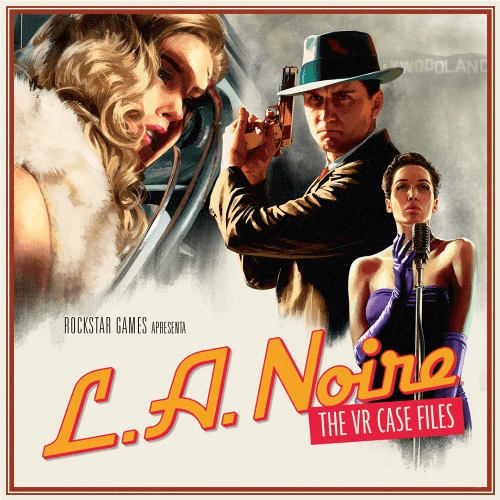 Well, we’re here to tell you that L.a Noire VR Case Files, could very well be coming to Nintendo Switch with VR Support via Nintendo Labo! This news comes from the fact that Nintendo of Portugal’s website had L.a Noire’s VR DLC case files listed as one of the purchases! What could this mean? It is very likely that this ends up being simply a mistake so be wary and take all of this with a grain of salt. If this is real though, and it actually leads to something, it would mean that the Nintendo Labo VR is much more intriguing and ambitious than we initially imagined and could pave the way for some truly interesting innovations in gaming. Given the recent resurgence of action-adventure detective type games, this could be something truly impressive. Recently Return of the Obra Dinn changed the way we looked at such games by wowing us with a magical experience. Are you excited for L.a Noire possibly coming to Nintendo Labo? Let us know in the comments below!